Here's my CNY nails self-proposed (DIY). HAHA. and started "designing" my nails. Haha. & I was thinking that I won't can caught playing with nail lacquers! LOL. Well~ I didnt get caught tho, really lucky, or prolly they knew but just couldn't be bothered. 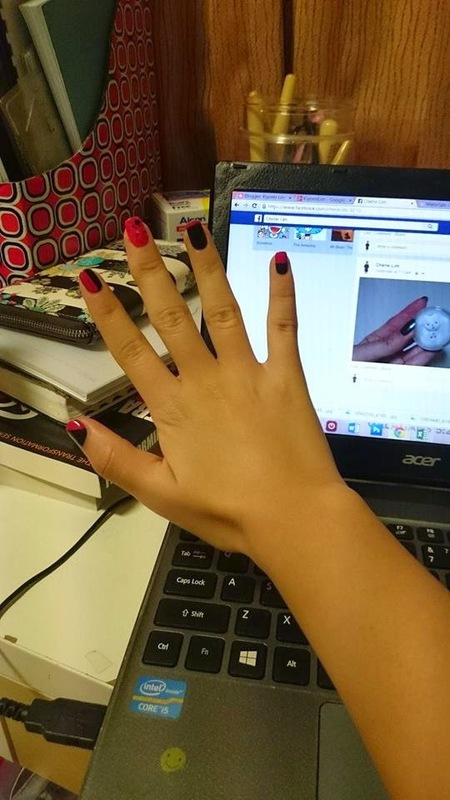 Teehee, so will you guys be doing your own nails as well? Just a short post for today, will be back tomorrow! See ya! I actually really like L’Oreal nail polish! 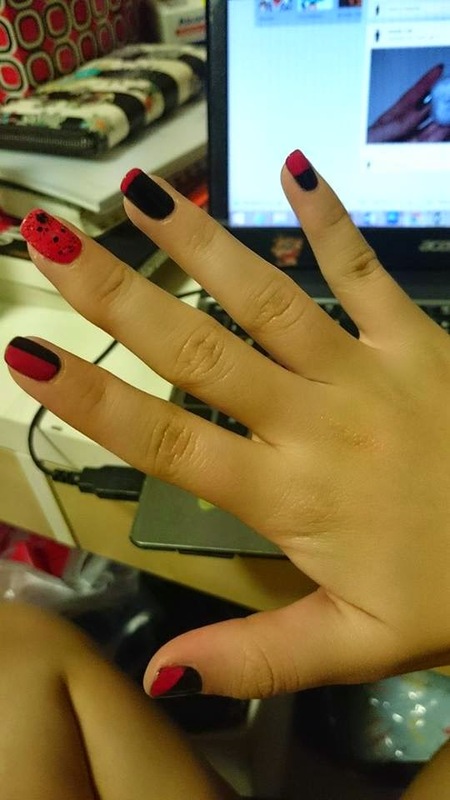 My friend just introduced it to me, and I think they work pretty well~ Also, L’Oreal's nail polishes are 5-free, and if I'm not mistaken, OPI is only 3-free (although I really do like OPI too!!)? Haha, I havent tried L'Oreal nail lacquers yet~ but I would if I have the chance to! OPI gives me more choices I guess, they have lots of new/old/classic collection and colours that allows me to choose what I like for certain occasions! I changed my colour again~ now it's the hawaii "go with the lava flow" that is glowly red. Really nice colours that I dont see from L'Oreal even though they might have better formulas! Haha.